After a significant downward revsision to August's data (to -2.3% MoM), September Durable Goods New Orders dropped 1.2% (better than the expected 1.5% drop only due to historical revisions) for the 5th monthly drop this year. 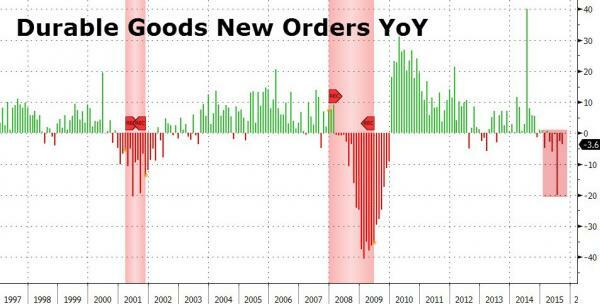 Year-over-Year, Durable Goods orders tumbled 3.6%, accelerating weakness from August amid major revisions. This is the 6th consecutive YoY drop, something not experienced outside a recession. 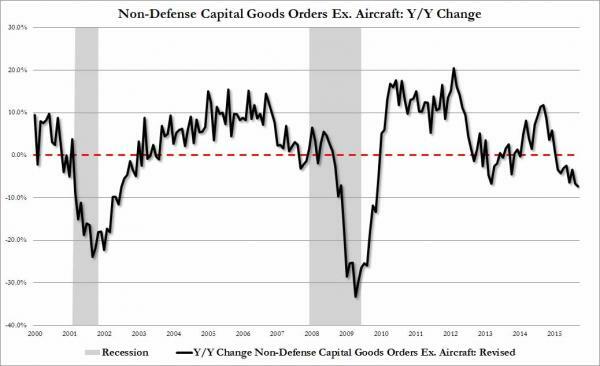 Under the covers it was just as ugly with Non-defense, ex-aircraft orders dropping 0.3% (notably missing expectations) after a huge downward revision for August. 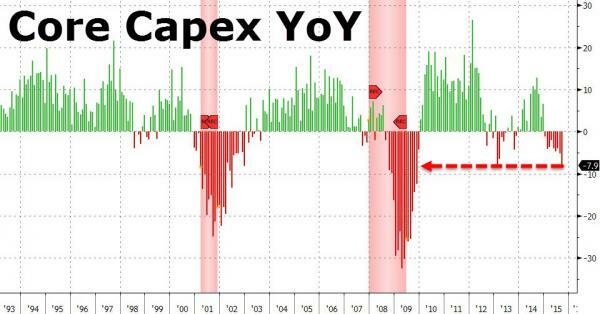 What is most worrisome, however, is the collapse in Core Capex YoY down 7.9% NSA - the worst since 2009. Not a pretty picture to hike rates into: simply put, we're gonna need "moar" war, because The US is either in or entering a recesssion.